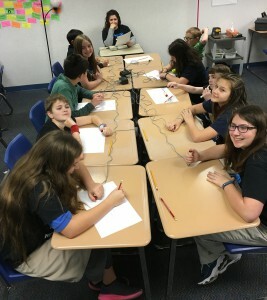 Teachers from Perry Meridian Middle School stayed after school Wednesday to challenge the seventh and eight grade Academic Pursuit teams ahead of their competition tonight against Southport Middle. 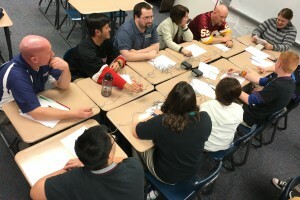 Teachers won handily in both matches, despite a valiant effort from both groups of seventh and eighth graders. PMMS Academic Pursuit is sponsored by Mrs. Erin Dever and Mrs. Nina Bowman.